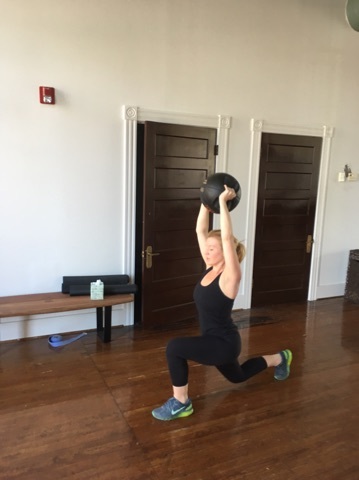 Sweat LLC is a private personal training studio located on Main Street in Richmond’s Historic Fan District. All programs are customized to fit the individual client’s needs and goals. Whether it’s weight management, improvement in sports performance, or just overall health, Sweat has your answer. 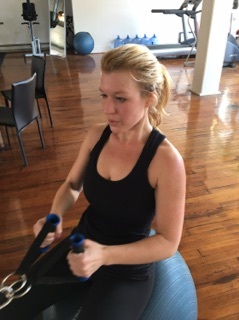 Sweat has state of the art cardio machines, a full array of free weights, and a dual cable machine, all of which allow you to do your cardio and a full body workout in one hour. All sessions are private with no distractions, no waiting for equipment, and no crowds. With two private changing rooms and towels, Sweat has everything you need. Achieve your personal fitness goals with first-class assistance. Sweat’s focus is on individualized training and treatment. 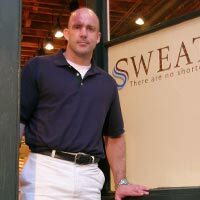 Evan Settle opened Sweat LLC in the spring of 2005. He says, “The unavoidable truth is that there is no downside to exercise. It improves everything you do, the way you see yourself, and the way others see you. Exercise makes you an active participant in your own destiny simply by extending the functional years of your life, as well as the options you have during your life.” The other truth is, it is hard work, you will get short of breath, there will be muscle fatigue, as well as muscle failure, but unless you get to that point you will never realize the whole host of long term benefits that you will gain from these sacrifices. 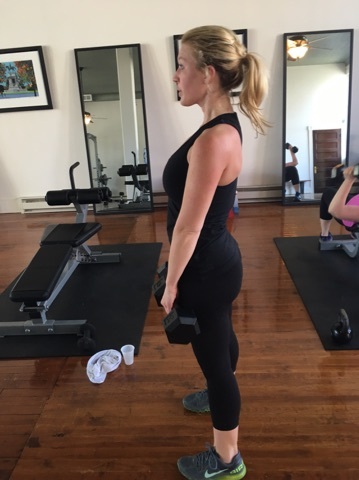 Do you have personal fitness goals you want to achieve? Let Sweat help you get there! Can’t make it to the gym today? Evan has a collection of videos to help you get started on your fitness journey. 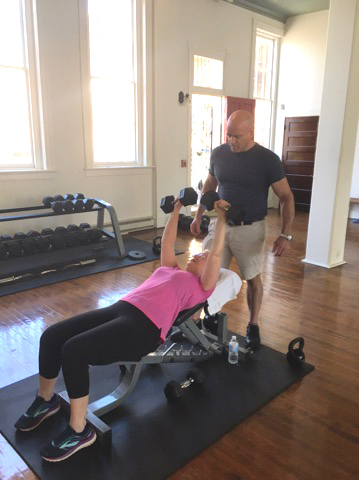 Evan Settle, is the owner of Sweat LLC, a high-end private personal training studio located on West Main Street in a storefront built in 1880. Evan earned his Bachelors of Science in Exercise Science from Virginia Commonwealth University with an emphasis in Sports Medicine and Rehabilitative Therapy. Evan graduated on Academic Scholarship with a 3.75 G.P.A. Now that Evan is back with in walking distance of the VCU campus – his roots in the Richmond area and Fan District are established. 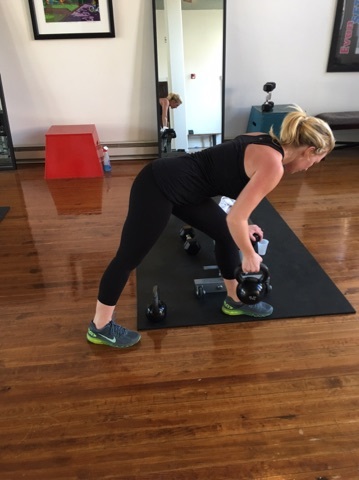 During Evan’s ten years of experience, he has worked as a Registered Rehabilitative Therapist, Personal Trainer, Assistant Fitness Director, Fitness Director, and now the owner of this physical fitness studio. Evan has worked with clients of all ages and skill levels. Along with the specialized knowledge, Evan has gained from school; he also draws on a deep passion and belief he has for the benefits of Physical Fitness. This passion and belief in the benefits of exercise stem from his own past experiences; in March of 1981, Evan sustained a third-degree head injury that was the result of being the passenger in a car that was hit head on by another vehicle. The accident left him in a coma for 11 days. When he awoke, he had hemiparesis, which is the paralysis of the entire right or left side of one’s body. The side of the body that is affected is entirely dependent on the side of the brain that the concussion occurred on and the severity. This also caused the speech apraxia, which is the loss of the ability to speak. He could still hear and comprehend everything said to him as well as formulate an educated response. He just couldn’t speak or make noise. In short he was trapped in his own body, he could want to yell at the top of his lungs and no one could hear. The rehabilitation from this shaped every belief and view Evan ever had or will have. Evan could not walk, talk, move his right side at all or support his body weight after the car accident. Evan has truly been on both sides of the fence and now uses his knowledge and experience to help others attain their goals. There is no reason not to exercise or be active every day, The benefits are endless as well as the pitfalls of not doing it. The excuse of, I don’t have time isn’t a valid, the truth is, you don’t have time not to. Everyone around you will benefit, and it will improve everything you do. There are 168 hours during the week, and you can carve out 3-6 hours from that per week to make an investment in your own life. Evan is a great trainer! He challenges me, pushes me, motivates me and keeps me focused on my long-term goal. The total of $700 to be paid upon contract signing. There is a 6-week window in which to use these sessions or they are forfeited. The total of $1320 to be paid upon contract signing. All sessions must be completed within 4 months from the date of signing. The total of $1936 to be paid upon signing. All sessions must be completed within 4 months from the date of signing. Contact Sweat LLC for more information.